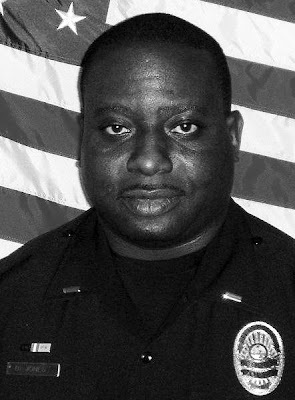 Cocoa Assistant Police Chief Bobby Jones resigned on March 9th, 2011 and will probably avoid a completed investigation report by doing so. Now if he can get the charges dropped, on paper it will be as if it never happened and he will be fully employable again without accountability for any committed crime(s). Are local domestic violence services supporting the victim, or is it too political for them? Hoping she has what she needs. Double prayers lifted. [FL] NOT ARRESTED FOR DOMESTIC VIOLENCE: Cocoa Deputy Police Chief Bobby Jones - The witness who tried to help Jones' girlfriend as she was being assaulted says his life was threatened... "You need to stand back or I'll kill you. I'll 'f' you up"... The father of the assaulted woman says she has tried to get a protection order. Jones has a wife and kids. Nobody's safe. And despite photographs and a witness, this deputy chief was not arrested. WOMAN SAYS COP WHO BEAT HER GETTING "PAID VACATION"
so if i quit my job my charges will be dropped wow sign me up. I actually know Bobby, and I do feel bad for him because it seems like he has lost everything but then again as I said I know Bobby and knowing Bobby, he really did bring this on himself. It's a shame, but he should be held accountable for his mistakes as he would surely hold others accountable for theirs.